Creating and presenting financial statements. The information that a Financial Accountant collects is compiled into a financial statement that is shared with a lot of different people like the staff and owners. If a company is big enough that its stocks are traded on the stock market, these statements are also shared with investors, the public, and investment analysts. Can I Study Financial Accounting? All of these skills and more are needed to be an effective Financial Accountant. What Courses Does the ICB Offer? 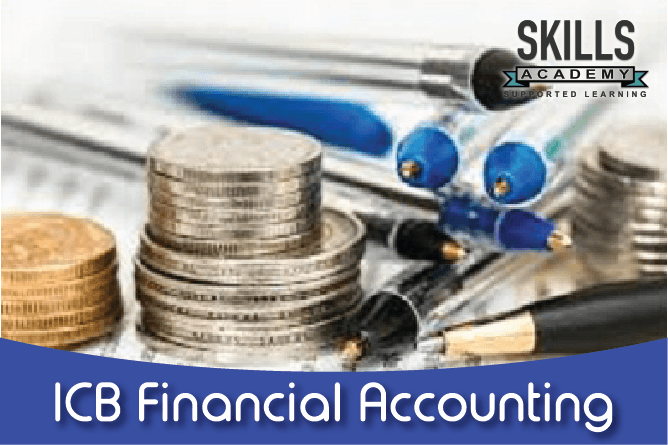 These four courses will give you all the skills you need to be a qualified Financial Accountant. Each of the 4 levels in the programme contains four separate qualifications. You start off at the Foundation Level studying for the National Certificate in Bookkeeping. In the foundation level, you need to pass 4 subjects to complete the level. In order to enrol for this programme you only need to have a grade 10 and be 16 years of age. No prior knowledge of accounting is needed. If you keep on studying the programme you will progress to the intermediate levels and then to the advanced level. Each of the ICB courses has its own entry requirements. Each of the courses builds on the skills and knowledge of the previous course. This 6-month course follows on and builds on the last. To study this course you will need to have completed the ICB National Certified Junior Bookkeeper course. In this course, you will study the five subjects from the previous course as well as Financial Statements and Cost and Management Accounting. The third course in the programme is a 6-month course which adds the subjects Income Tax Returns and Business Law and Accounting Control. You need to have completed the ICB FET Certificate: Bookkeeping (Certified Senior Bookkeeper) course to study this course. Once you have finished all four courses you can continue your studies and receive a degree in Financial Accounting. Studying the ICB courses has many advantages. The first of these being that ICB qualifications are recognised both nationally and internationally. This means that you could apply for a job all over the world and your qualification will be recognised. Another advantage is the fact that you get membership to the Institute of Certified Bookkeepers & Accountants (ICBA). The ICBA is the sister organisation of the ICBA that focusses on professional membership. As you finish your courses and gain a certain amount of practical work experience you get to add certain designation letters behind your name. These designations show your level of professional qualification. Due to the range of skills and duties that a Financial Accountants need to perform they are highly paid. The average annual salary is about R323, 000 according to PayScale. Note: This number is correct at the time of writing this article. Depending on how you choose to study your ICB course you can either register with the ICB or one of their accredited partner colleges such as Skills Academy. You can also register online using their online ICB Learner Portal. Using the ICB Learner Portal also allows you to register for your ICB Exams. 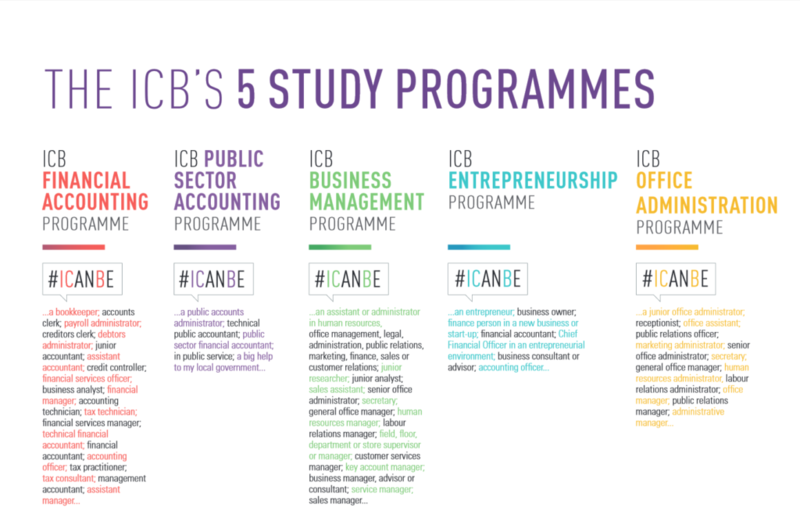 There are several opportunities for you to write your ICB exam every year. You can look on the ICB website to find the full exam schedule. When you register for an exam you also need to make sure where your closest exam venue is. This is because the ICB has exam venues all across South Africa. You will need to pay an additional assessment fee per subject that you are writing. This fee generally needs to be paid directly to the ICB, however, some colleges might include this fee in your courses fees. It is a good idea to check with your college if the fee is included or not. The ICB changes its fees annually. At the time of writing this article, an assessment fee is R675. That means that if you were registering to write four exams you would need to pay the fee for each subject. Four subjects at R675 would, therefore, come to a total of R2700 in total. If this sounds like the career for you then you can call Skills Academy toll-free on 0800 39 00 27. Our consultants will help you every step of the way. We are committed to helping you achieve your dreams so register today. Your future is waiting!